Behest Software is the trading name used by Steve Belleguelle to market and sell his own computer software. 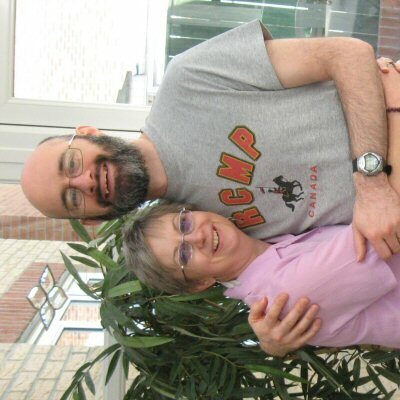 Graduating from Nottigham University in Electrical and Electronic Engineering in 1991, Steve worked as a professional software developer from 1994 working primarily on the Windows operating systems using Visual C++. After spending some time lecturing on Artificial Intelligence in the Computer Science Department at Nottingham University, he went on to develop a system first to read passenger tickets and then passports and ID cards for the airline and wider travel industry. He also spent a couple of years working as a lead developer for Sage in Newcastle who make a very widely used range of accounting products. In 2009, Steve and his wife Heather set up their own computer support and repair company, Behest Computer Services, providing help to homes and small businesses throughout Northumberland in the North-East of England. Steve now spends most of his time doing this support work, but still writes software in spare moments. Do you need some software written? I'm sure there are times when you have thought to yourself, "I really wish there was a program that did..."
Steve's expertise is not only available to you in the form of the software downloadable from this website, he is also often available to work on small individual projects at a very reasonable price. Is there some simple but time consuming regular task that you have to do on your computer, or is there a small application that you wish existed but you can't find anywhere? If so, why not get in touch and see if Steve can create that application for you? If it's a program that others might wish to use it will be created it as shareware and you'll get it at a shareware price, if it's very specific to you we'll see what we can do for you at a competitive price. E-mail Steve at requests@behestsoftware.co.uk giving a description of what you need and he'll get back to you as soon as he can. Steve has been very happily married to Heather since 1991 they live in the beautiful county of Northumberland in North-East England. Steve and Heather are Christians and members of Hope Church Bedlington where they have the privilege of helping with the youth work and occasionally preaching. Steve enjoys reading a variety of types of book and loves superhero movies! His favourite type of food is curry and he still has his full collection of Smurf figurines collected in the 1970s! If you live in Northumberland and need IT support, why not visit our sister site, Behest Computer Services. We provide a wide range of computer support from fixing PCs and laptops, setting up networks and broadband, through providing tuition and help with standard Windows packages, to giving advice on all manner of IT issues. A friendly, professional service based in Pegswood just outside Morpeth.